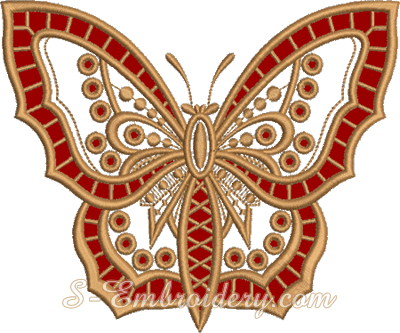 The SKU 10630 Butterfly cutwork lace machine embroidery is a fine butterfly cutwork lace embroidery design for 5x7 (130x180) hoops or larger. The design comes with a generic tutorial for creating cutwork lace embroidery. If you are new to cutwork lace, you may want to have a look at our Cutwork lace tutorial before considering a purchase.